But generally I don't get why people use Java in 2016. The Java Virtual Machine, specifically its “byte code” has become a "defacto" virtual CPU. Take Android, .apk files – they are nothing more than Java Byte Code. That way Google distributes a single binary and upon "installation" that Java byte code is translated to real machine code. In this way, the same .APK can be served up to an Android device with an ARM processor or an Intel processor. It needn’t be the case that Java (the programming language) be used to emit Java byte code (“virtual CPU). Take like Groovy & Clojure -- programming languages where your code is ultimately executed by being translated to Java byte code. 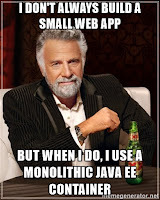 Java EE may die off, but Java’s foundation, the JVM, will be with us for quite some time. I believe that Java is still a relevant technology nowadays. Many libraries and good projects like spring framework are in constant development. 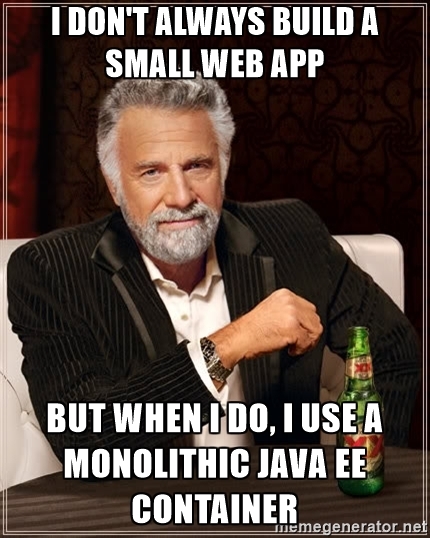 I prefer to use C++ ecossistem, Python or even NodeJS for my personal projects, but I can't ignore JVM. Why Java EE anymore? Just use Dropwizard and be happy. Modular Java EE has been the plan for quite some time. You can see what we've done with GlassFish. We've just been waiting for a modular Java SE runtime to build on. First it was supposed to be there in SE 7, then SE 8, and finally SE 9. Hopefully we'll have a modular EE 9, soon! MaxMunus Offer World Class Virtual Instructor led training on ORACLE B2B. We have industry expert trainer. We provide Training Material and Software Support. MaxMunus has successfully conducted 100000+ trainings in India, USA, UK, Australlia, Switzerland, Qatar, Saudi Arabia, Bangladesh, Bahrain and UAE etc.